The BIM-04-2 is a temperature module that allows you to display additional temperature readings within your RTX, HDX, VHX or VFD3 gauges. The BIM-04-2 utilizes Ground Isolated senders for easy installation without the headache of engine ground deficiencies. * All temperature readings will display either Fahrenheit or Celsius depending on the setting selected by the gauge cluster. For Ford Flathead motors there is a special option that allows the system to display the highest temperature reading in the main display at all times. The lowest temperature reading will display in the information center. 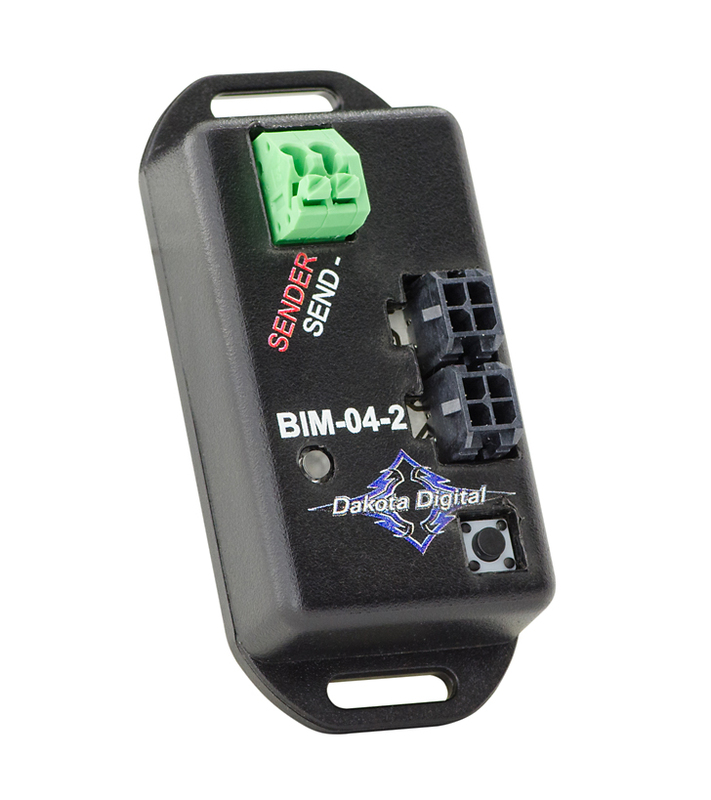 **The BIM-04-2 is designed to supply information to the compatible Dakota Digital VHX, HDX, RTX and VFD3 instrument systems with a black plastic control module. For any BIM-compatible control boxes which contain the 3.5mm headphone jack BIM input, add part number 394193 adaptor harness. Earlier instrument systems with an aluminum control module are not capable of BIM connectivity. NPT Bushing Kit, 1/8" to 1/4", 3/8" and 1/2"